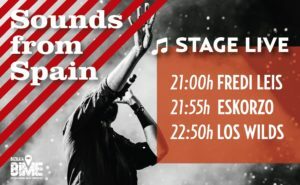 Sounds from Spain returns for the third year in a row to BIME Pro to maintain its commitment to the internationalization of companies in the music sector in Spain, both from the artistic point of view and the business. The activity of the platform in Bilbao will be divided into two parts that will take place on Thursday, October 25. In the morning at the BEC! the exclusive meetings of the Spanish companies participating in the meeting will take place with highly relevant international professionals, and at night the expedition will go to the Stage Live Room for the showcase of three artists before an international professional audience. 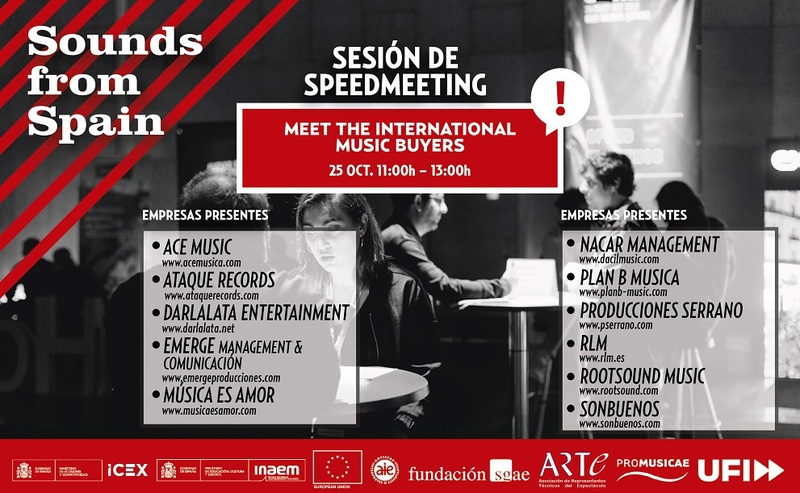 On Thursday, October 25, between 11.00 and 13.00, 11 Spanish professionals will have the opportunity to meet with representatives of 18 renowned companies worldwide in an exclusive session of Speed ​​Meetings of Sounds From Spain at the BEC! of Bilbao. The objective of this session will be to strengthen ties between companies in the music industry in our country and abroad, to promote in this way the export of business from Spanish companies to countries where they could not get otherwise. Three bands have been selected from among all those that were submitted to the Sounds from Spain showcases in BIME for this year 2018. These artists will perform for an international professional audience as well as for a general public, in the Stage Room of Bilbao within the programming of BIME Pro. Admission will be free. They ravaged the Austin Festival SXSW 2017, being the Spanish group that gave more concerts this year with 12 shows. Its sound is loaded with fuzz, reverb and lyrics full of perversion. Dirty and greasy garage all touched in an irresponsible way and without brakes with a single premise NO COGER PRISIONEROS!